Turns out it doesn’t—and its creator, Utah-based illustrator Jake Parker, also doesn’t have any relation to Jake Paul or Jake Paulers, contrary to another common first impression. Parker created Inktober in 2009 “as a challenge to improve my inking skills and develop positive drawing habits,” he writes on his website. Now it’s grown far beyond a personal resolution to inspire artists worldwide: the project has a Facebook following of over 130,000 people, an Instagram following of over 135,000, and a thriving web of #inktober and #inktober2017 hashtags which have been floating around for the past few days. On the Inktober website (see above), you’ll find a short video explaining the simple rules of the challenge: draw, post, and hashtag (the last two being optional of course). You’ll also find the 2017 prompt list, a relatively new development (2016 saw the inception of the prompt system). The prompts aren’t restrictive, but are instead meant to kickstart creativity! There’s also thousands of completed Inktober drawings done by participants worldwide if you need a little more of a nudge. This artist even upgraded the challenge, turning static ink into YouTube videos: here’s the first of her series. 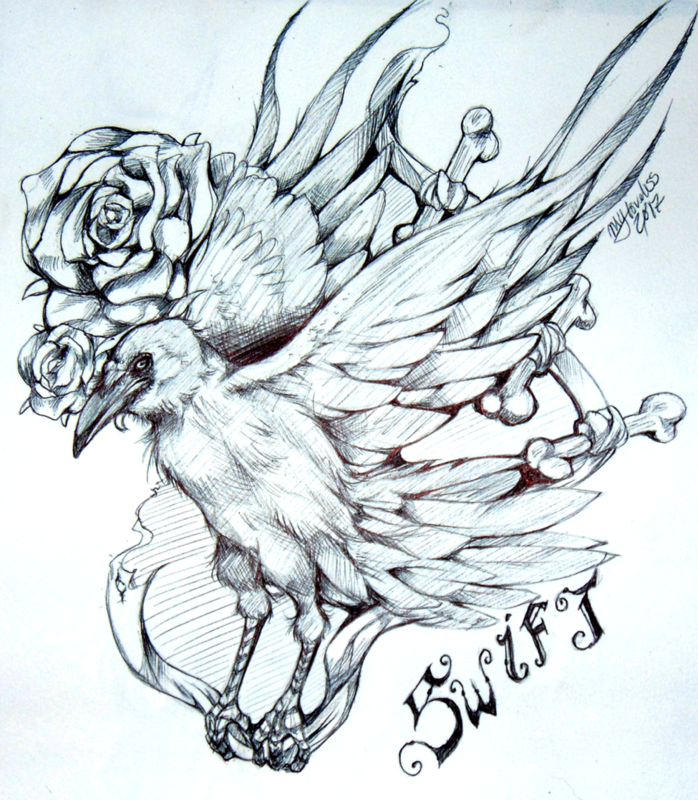 Inktober’s first one-word prompt alone, swift, spawned an admirably creative range of subject matter and stylistic choices. If you’re thinking “but I’m not an artist” or “this would just be embarrassing” or even “I’ve never drawn with a pen in my life! !”, then try to shut out that negative voice. Nobody will see your drawings if you don’t want them to, and besides, you’re your own harshest critic. After all, in a world where blank canvases and newspaper clippings and disconnected urinals (thanks, Mr. Holubar, for enlightening us on the topic of modernist art, among many others!) are renowned as hallmarks of artistic exploration and groundbreaking precedents for innovative thinking…art is truly anyone’s game. Why are you still reading this article? Turn off the screen and give Inktober a whirl!